Ah now this is my kind of car – a hot hatchback. 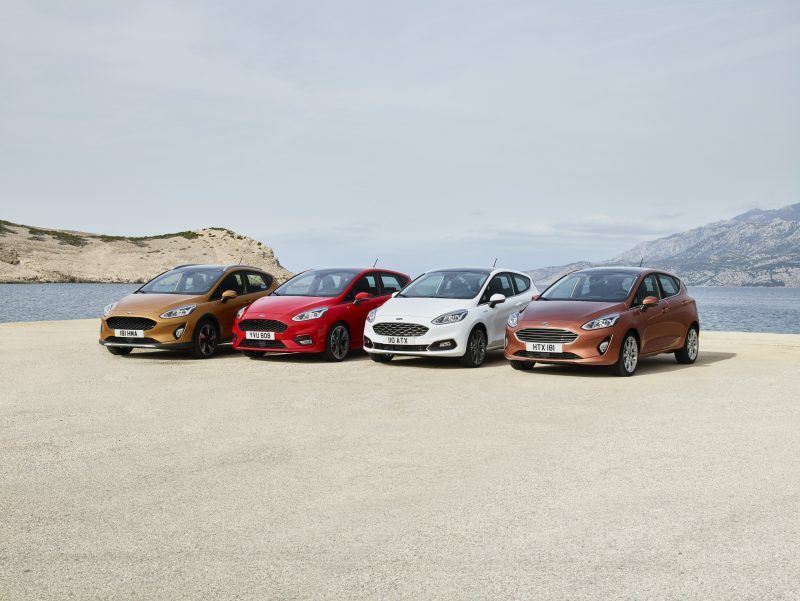 More specifically the Ford Fiesta ST, which was the darling of the automotive journalism world when it first came out in 2013. 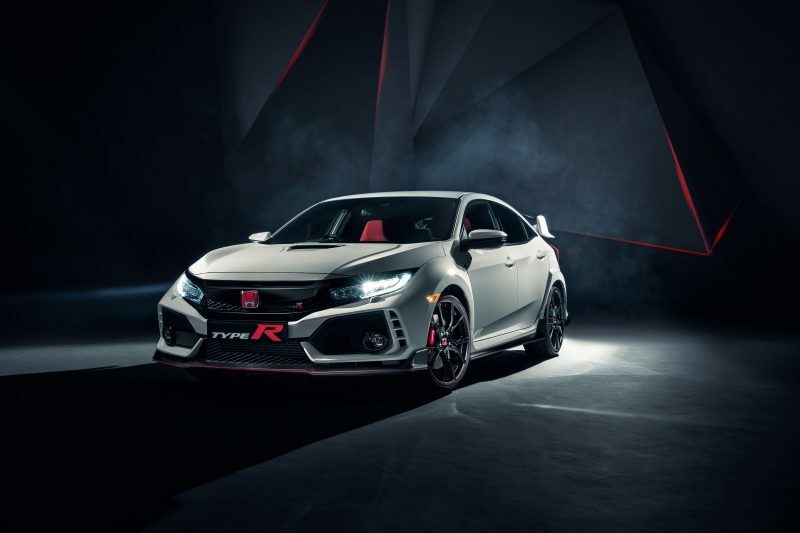 Four years on and the new model has been revealed with one less cylinder, but more power and three drive modes. What? It’s a SMALLER Engine?! Ok, so on paper it looks as if the new Fiesta is going in battle on the back foot, but hold your horses. 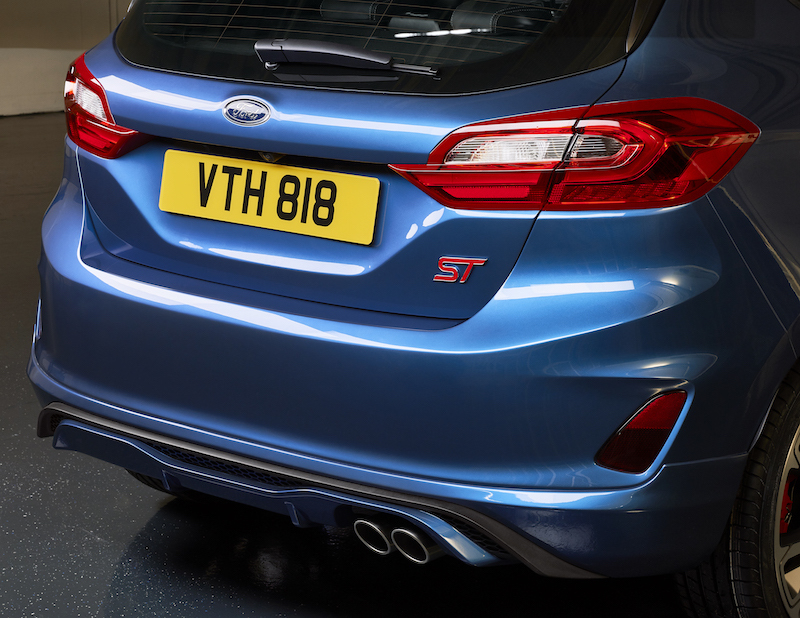 Sure it’s only got three cylinders, which is a first for a Ford performance model, but it’s able to offer more power than the outgoing model. 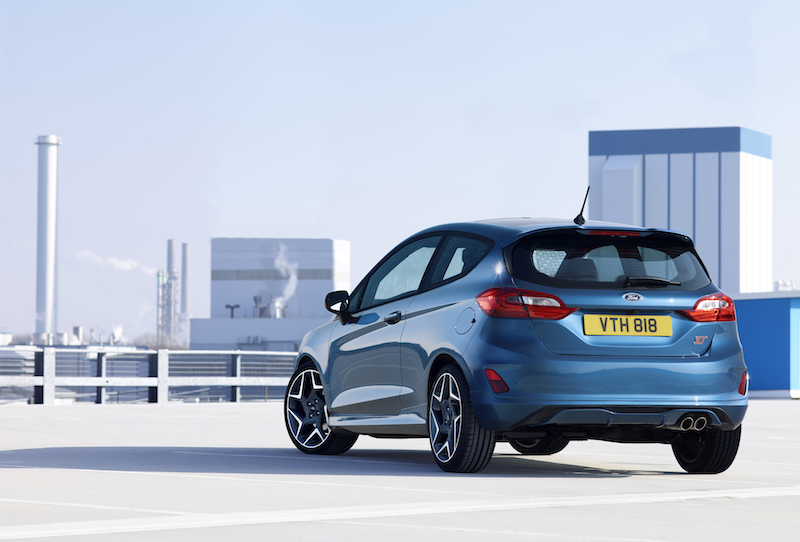 The 1.5 litre EcoBoost engine offers 197bhp and 290Nm of torque, which gives a predicted 0-62 time of 6.7 seconds. Top speed has not been announced but it’s likely to be around the 140mph mark. A new turbocharger helps to give this pint-sized unit high torque from low revs, but that’s not all. The engine is even able to shutdown a cylinder when the full power potential is not needed, meaning better efficiency. The design of the all-aluminium engine ensures it reaches the optimal temperature quicker, which is good for those ‘spirited’ drives. 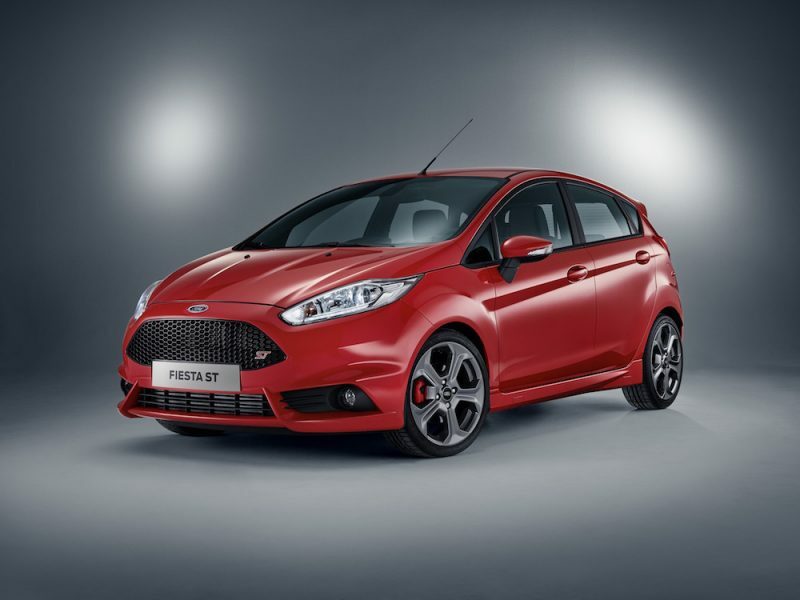 Also new on the Ford Fiesta ST is a choice of three drive modes, which are straight forward and self explanatory. Normal mode is set up for everyday driving whereas Sport and Track are the ones that’ll turn the ST in to the firecracker it’s known for. 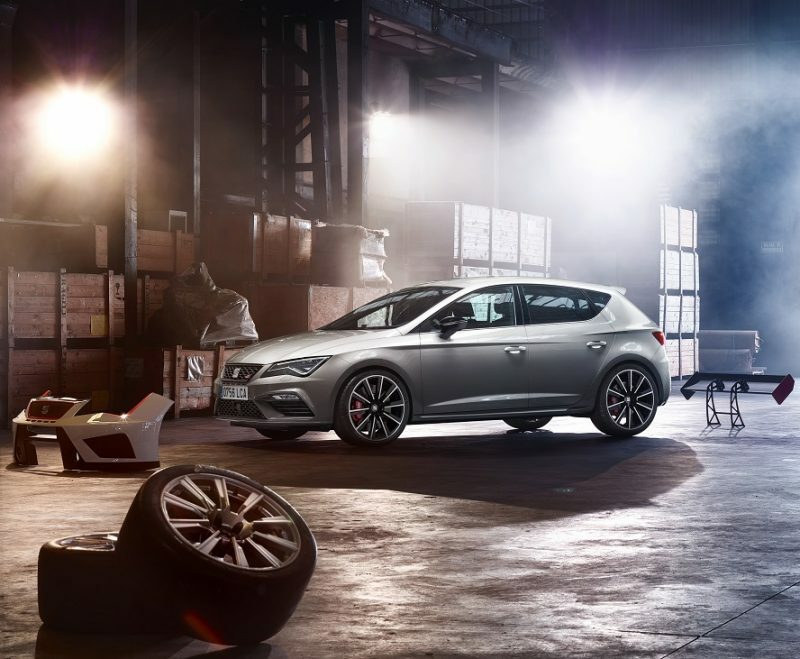 In Sport mode components such as the engine mapping and throttle response are sharpened and the steering gives more feedback whilst the exhaust gives more noise. 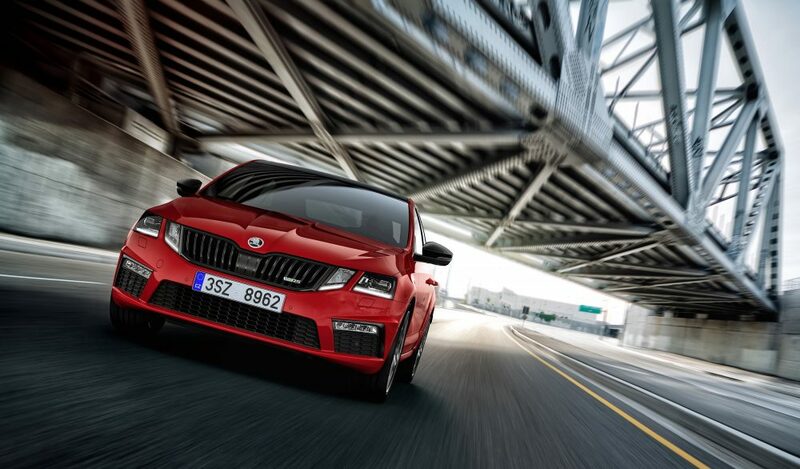 Track mode sharpens everything even more, disabling the traction control and allowing the car more slip for intense track driving. 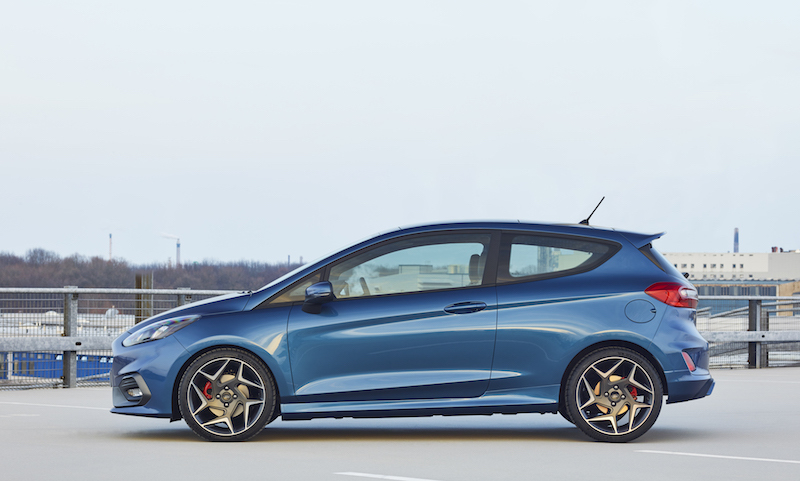 As well as offering more performance, the new Fiesta ST will also offer a higher level of personalisation. Buyers will be able to choose from a range of different trims in the cabin such as the gear lever, steering pulls and door pulls. 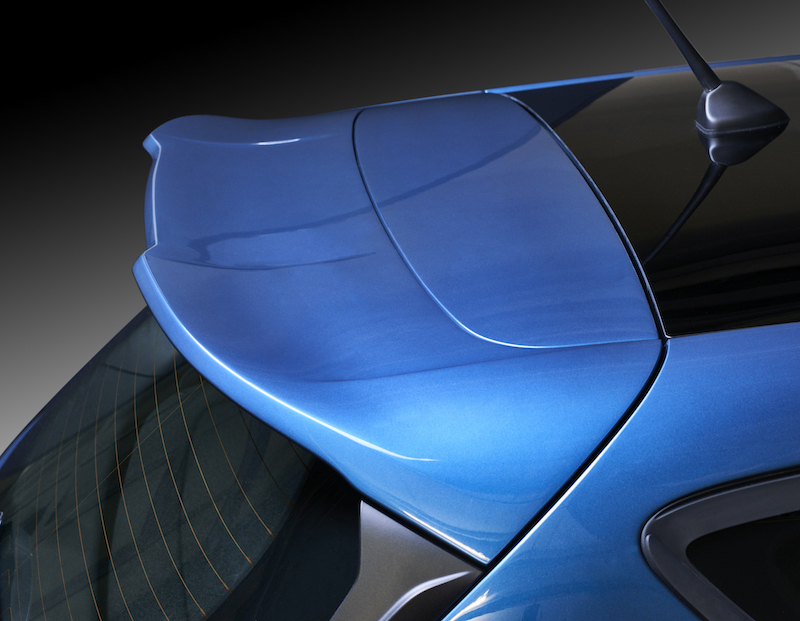 A new Liquid Blue colour will also be available as well as 18-inch alloy wheels. One thing you won’t need to choose though is a decent sound system as a Bang & Olufsen stereo system comes as standard. That sounds sweet to me. Sadly though, this popular pocket rocket won’t be launched until early next year. Well, they say good things come to those who wait… In the meantime though, you can check out this rather cool video.